A Ghost for Christmas (Mele Keahi's Mysteries Book 1) - Kindle edition by J. D. Winters. Mystery, Thriller & Suspense Kindle eBooks @ Amazon.com. Mele Keahi thought she was going for a vacation at her aunt’s – just what she needed after a breakup and a lifetime of heartbreak since her mother disappeared. What she wasn’t expecting was finding a new guy… or that dead body on the doorstep! Could her sweet aunt really be involved? Or was it someone else near and dear to her? And then there was the handsome ghost from her Hawaiian childhood. Not what she'd bargained for--but sometimes you just have to deal with what the cat dragged in. Will she figure that out before the murderer finds a way to silence her forever? Yummy recipes for Hawaiian style cooking in each book--Chicken Hekka in this one. The books in this series have minor themes that run through them all, but each story can stand on its own. This series has a lot of potential, and I would give it 3.5 stars, if possible. I liked that the main character brought a touch of a different culture to the story. I was also appreciative that the author made sure the book was edited, which made reading smoother and more enjoyable. There are a few places when one character tells a second character something the second character would already know in order to convey information to the readers. The dialog doesn't flow quite as smoothly when that happens. The main character was well developed enough to make me want to shake sense into her when she does something stupid. I did love her snarky sense of humor. I will be trying a second book in the series. This is a good book for times when one wants light reading and entertainment. Good start to a series. There is a hint of paranormal to the book but just a hint. The author has quite a bit of room to move that aspect forward in future books. Mystery was fair. Character development was good. In short an enjoyable read for those that enjoy the cozy genre. 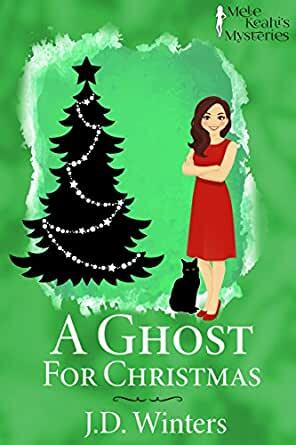 A Ghost for Christmas follows our main character Mele who, recovering from a bad romantic breakup, decides to visit her Aunt Bebe. She arrives, however, to find a dead body on her Aunt’s doorstep. Mele, the main character, begins by literally tripping over a dead body as she walks toward her aunt's front door. She's come to visit because she needs a new start after breaking up with her boyfriend. Hoping for rest and relaxation, she instead finds she needs to investigate the murder because she, her aunt, and her aunt's friends are all on the suspect list and, of course, the gorgeous police detective has it all wrong! A hint of Hawaiian culture (including a chicken recipe), a couple of helpful family ghosts (I hope future books more fully explain who Aunty Jane and Dante are and why they're hanging around), a mischievous cat, a quirky sense of humor, and enough plot twists to keep me guessing until the end. As other reviewers have noted, very little mention of Christmas beyond the title and two ghosts who, though they provided timely assistance, appeared only occasionally. I found this mildly annoying, since the title led me to believe the holiday and ghost would be central to the story. I wondered at one point if they were added later to an already-finished manuscript, perhaps at the publisher's request. Unlike some Kindle books, this is well edited and the proofreader seems to have caught any typos. 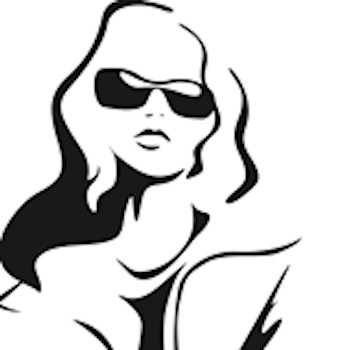 Yes, the author left some loose ends in character development and backstory and dropped hints regarding future plot action, but if she hadn't, there would be no incentive to read the next book! A very enjoyable cozy mystery. I have high hopes for the rest of this series! This story by J D Winters was a light, easy read. It was well proofed and cleanly written. While I enjoyed the story, I did not find it a page turner. I found it perhaps a bit too simplistic for me, and I am not really sure why it was called A Ghost for Christmas when there was very little about Christmas involved which added to my disappointment. This time of year I enjoy light Christmas stories so the title caught my eye. I imagine if the author is going to keep adding to the theme of Mele being in tune with the ghosts, future stories may be more engaging. This one was a cute story, but I do not think I will read more of this series.